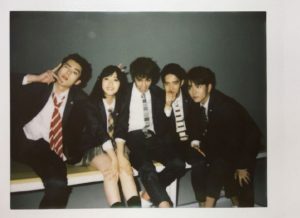 The official Meteor Garden <流星花园> remake has officially completed filming! 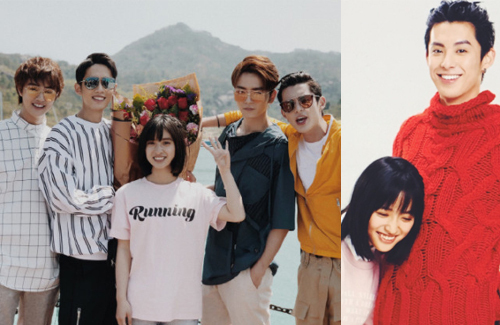 Produced by Angie Chai (柴智屏), Meteor Garden is the official remake of the 2001 Taiwanese drama of the same name, which was a pop sensation and cultural hit. The show is based on the Japanese manga Hana Yori Dango <花樣男子>, which has also been adapted to Japanese and Korean TV. Shen Yue, the rookie actress best known for starring in the popular Love So Beautiful <致我们单纯的小美好>, plays Shancai. Newcomers Dylan Wang (王鹤棣), Darren Chen (官鴻), Connor Leong (梁靖康), and Caesar Wu (吴希泽) respectively play Dao Mingsi, Hua Zelei, Meizuo, and Ximen, the F4. In her social media post, the 20-year-old actress also shared some behind-the-scenes photos from the production, which showed her close relationship with the cast. 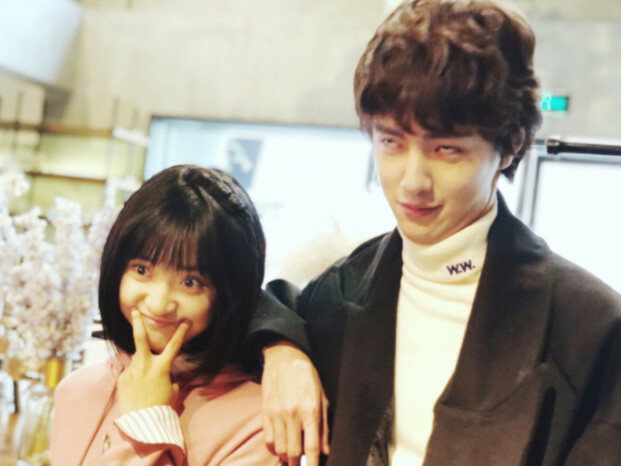 In one hilarious photo, Shen Yue was crouching in front of Dylan’s stomach, listening into his belly as if he was pregnant. You mean a cold emotionally abusive immature jerk sorta love story is still relevant in today’s world? That’s so cute! They finished filming so fast! I highly anticipate this drama to be super popular when it airs. I especially love the main lead actress. gee, how tall is this girl? @vodka with exception to the original Taiwanese version of meteor garden, every subsequent adaptation has been crappy imo. Angie Chai was the original producer and now she’s reproducing this drama which mean the quality can’t be that bad. I also really love the female lead – at least this part I can look forward to.